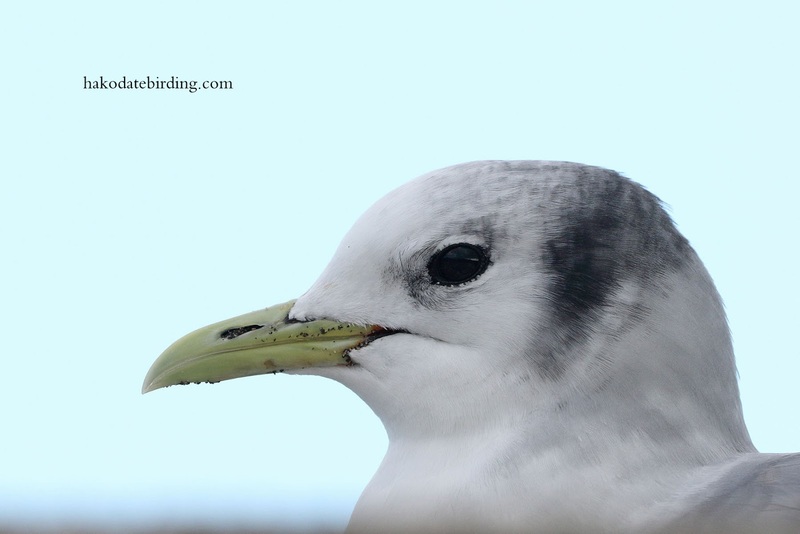 A close up of a Black Legged Kittiwake in Menegawa this morning. Annoyingly the harbour was the only place in the whole area under clouds, there were lots of them to-ing and fro-ing but my BIF attempts were not great (also I had the 1.4 extender on). White birds against dark grey skies just doesn't work. Bad luck about the sky. I rather like Kittiwakes so hope you get some blue skies soon! I like the close up of the bird. Very nice, detailed portrait Stu. Colour has abandoned us in Niigata for the next several months too. Thanks for the comment Russell......................enjoy the winter! It seems impossible to get decent flight shots against an overcast sky, as you say. Still, BL Kittiwake is a good-looking bird.